As the leaves turn from summery green to the rich oranges and yellows of fall, it’s time to make sure your home and garden accents are suitable for the season. Dundee Nursery in Plymouth and Hutchinson, MN, is ready to celebrate autumn with their striking collection of flowers featuring dramatic purples, vibrant reds, warm yellows, and unique bicolor varieties. Autumn is the season of opulence, so use the following tips to make the most of these unique colors and textures. Using containers to display fall plants on your front porch makes your home appear more welcoming. Pick any planter that speaks to you, whether it’s a traditional clay pot, a metal watering can, or even a basket. Choose a range of sizes and shapes to create an eye-catching arrangement. Dedicate one plant to each container or mix different types with varying heights and colors for a lively display. Pumpkins are a traditional fall home and garden accent, but there are countless varieties beyond the round, orange one. Explore the entire squash family when you decorate this fall! Green kabocha squash, white Lumina pumpkins, and butternut squash are just a few varieties that add a unique flourish to your décor. You can even look to the garden for inspiration. Are you harvesting kale or red cabbage this year? Mix the leafy plants with a group of flowers or your favorite squash to create a beautiful display that showcases the season’s most interesting textures. Whether you’re mixing or matching, fall is the perfect time to play with rich hues. If you want to create a sense of harmony, follow the color wheel. Red Minnesota mums look perfect next to an orange pumpkin and yellow mums. Add bright green cabbage to compliment these warm tones. For a dramatic presentation, pair opposite colors that create contrast. Try planting red asters with green kale or blue fescue with yellow mums. Whether you’re in the market for fall flowers and greenery or sturdy new planters, Dundee Nursery has the best home and garden accents under one roof. 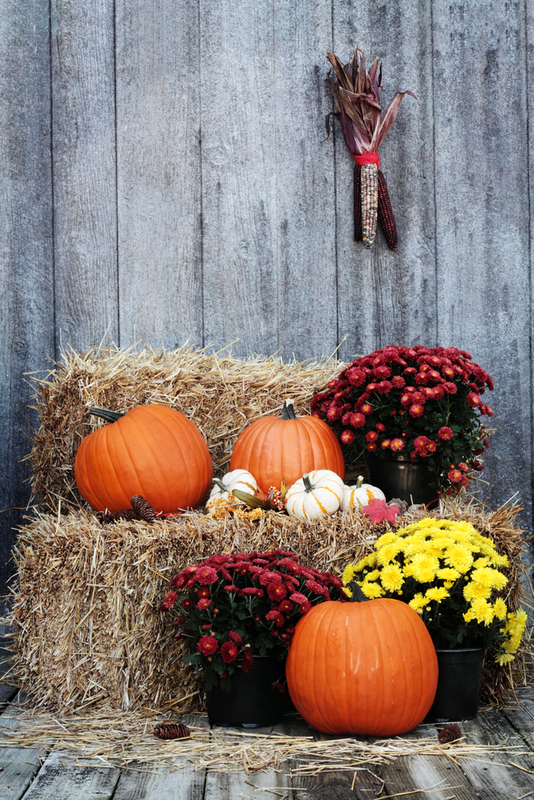 Their landscape design experts will help you create a display that shows off everything the season has to offer. Call (763) 559-4004 to speak with a knowledgeable team member, and visit their website to see what’s in stock. Follow them on Facebook for special sales and updates on their inventory.